Washing vegetables is an important task in all commercial kitchens. Providing your staff with a Carlisle vegetable brush will go a long way to ensure the job gets done properly. 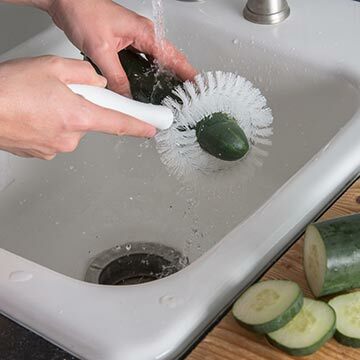 Designed specifically for round vegetables, such as carrots, cucumbers and zucchini, firm bristles make this brush ideal for extremely through and efficient cleaning. Provide fresh and pure ingredients while saving time and money!